Chelsea Clock is known for beautifully crafted mantel clocks in brilliant brass or nickel finishes. These mantel clocks have been designed and manufactured by Chelsea for over 100 years. If you are looking for the best mantel clock repair service in the country, look no further than Chelsea Clock. Our staff of master clockmakers provides a variety of clock services for mantel clocks in our original facility in Chelsea, Massachusetts. 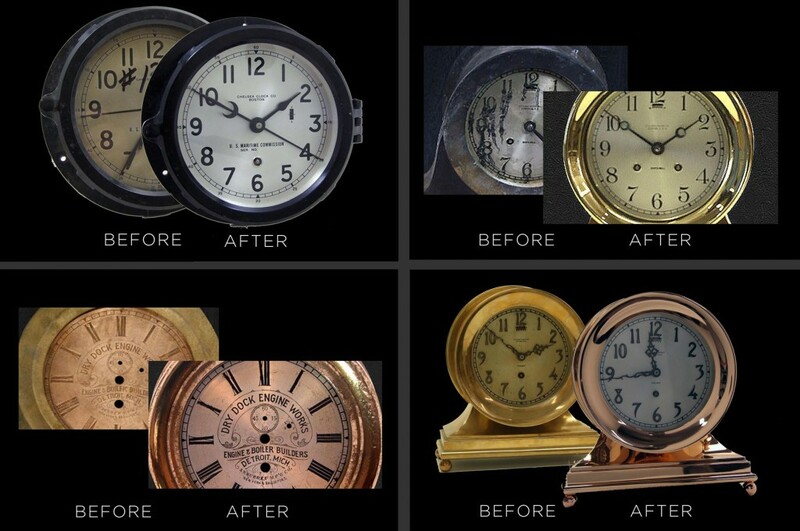 Services include routine maintenance, cleaning, clock repair and complete antique clock restoration. Don’t trust just any repair service with your valued mantel clock – choose Chelsea Clock.